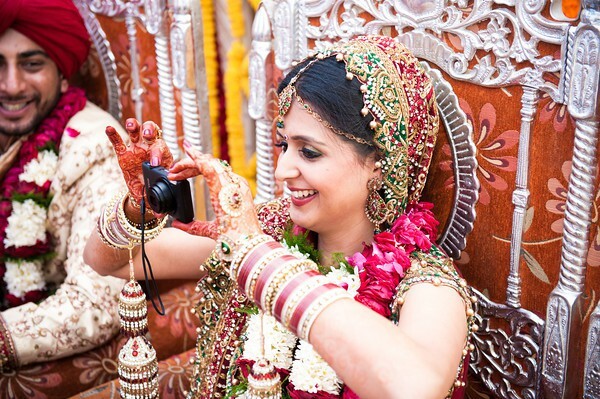 Jaipur was zeroed upon as the wedding destination for Sameer and Parnath as it would have been feasible for guests coming from UK, Punjab and Gujarat. 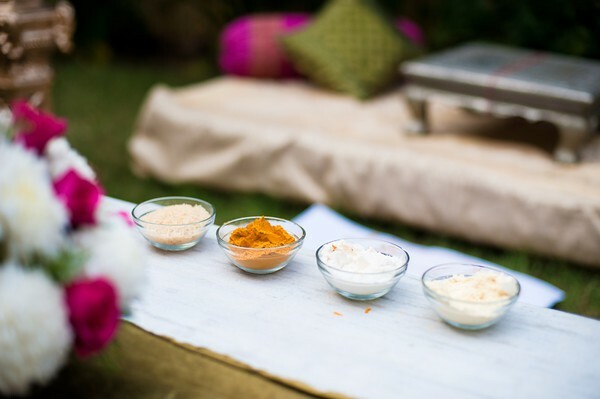 We considered quite a few options but when we went to Taj Jai Mahal, we just knew this was it, sort of instinctual. Do we mention that is absolutely beautiful! 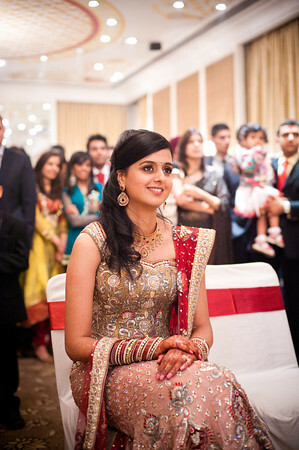 The bride, her mother and grandmother did the recce of the venues with the MIW to finalize a few options. 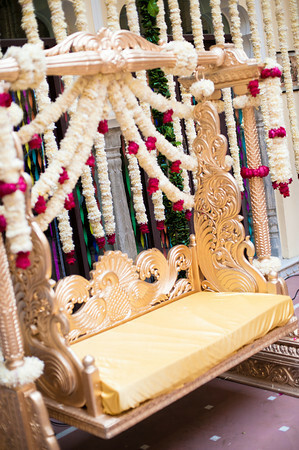 For the stay of groom’s side we thought of going for a contemporary hotel while a heritage property for the bride and her relatives. The idea was to find hotels that were basic and affordable yet sophisticated. 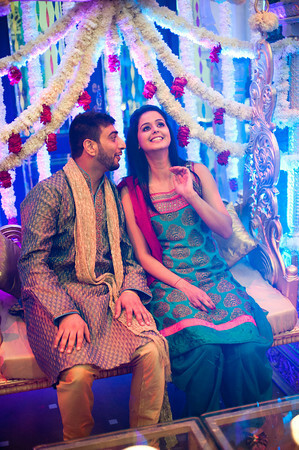 We chose Libra hotel for the groom’s party and for the bride’s Khandela haveli. 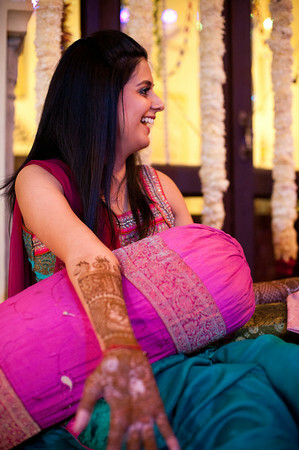 Most of the guest loved the Khandela haveli for it’s a charming property with a welcoming courtyard in the centre. It’s the opposite of opulence and that’s what makes it so special, not shrieking for your attention really just admirably resting there. 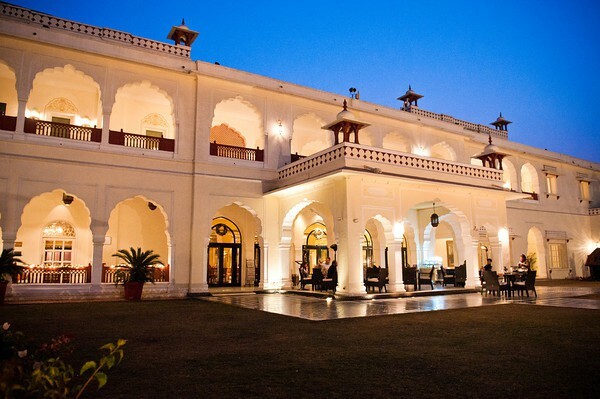 The quaint haveli is located away from the hustle bustle of the city. 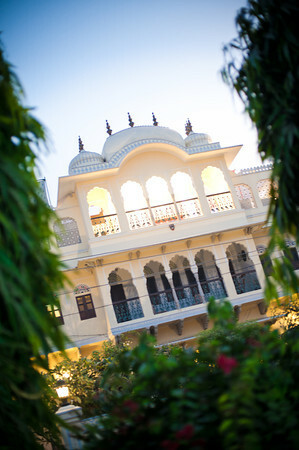 Its 22 rooms are a reminder of the elegant Rajputana era. The venue is great for stay of about 50 guests. 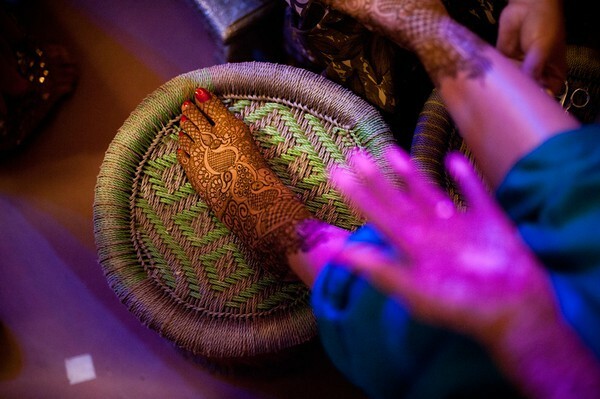 One could do a Mehendi ceremony in its lovely courtyard just like Sam and Parnath did. 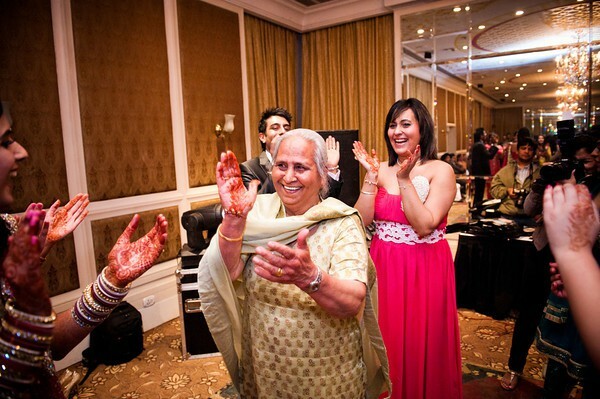 Meanwhile the DJ churned out some dance numbers and got the guests shake a leg. 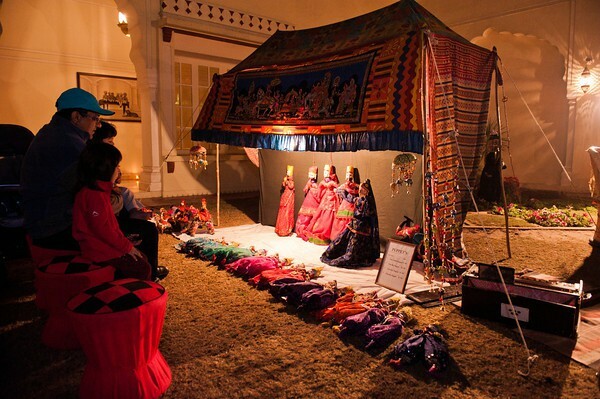 Buffet was laid out at the rooftop and was savoured in the delightful company of folk dancers and puppets. To end that perfect evening, the sky was lit up with the elegant fireworks display. (We thought of doing the fireworks here in Khandela as it was not allowed at the Taj Jai Mahal. Following morning was the wedding day. 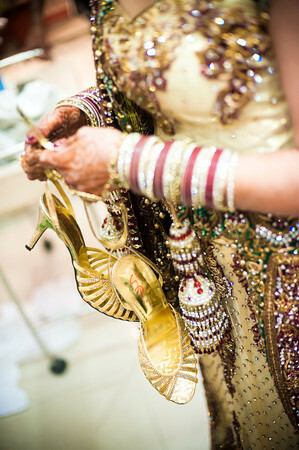 Groom arrived on an ornate elephant and the bride looked absolutely stunning on here d-day. 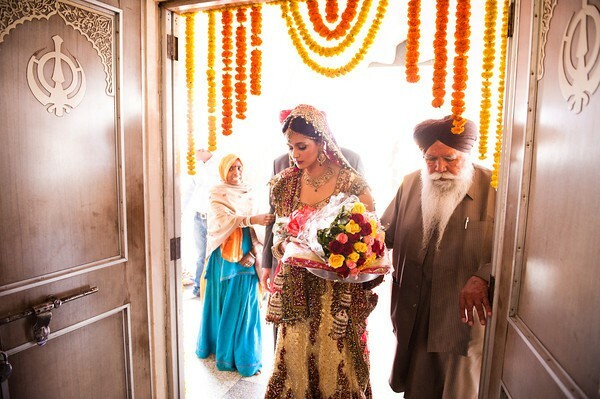 It was a Sikh ceremony in a gurudwara followed by a lunch in its premises. 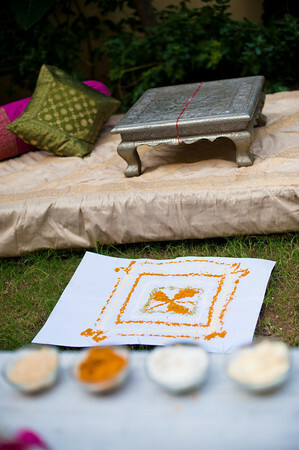 Initially we had thought of organizing the lunch at the Haveli considering that winter afternoons are gorgeous for the outdoor lunch. But then again, the entire experience of having a lunch at the gurudwara is so compelling that we decided of having the lunch there. Also it would save us a lot of time that we would have otherwise wasted in commuting. The food at the gurudwara was simple and hearty and the arrangements were made the gurudwara staff. 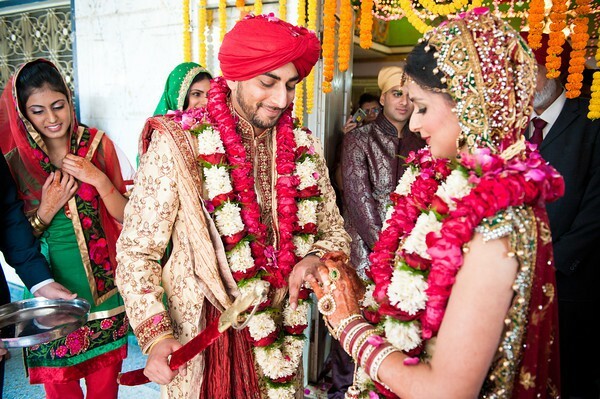 For couples who would like to have a Sikh wedding ceremony, we suggest to make the booking at gurudwara at least an year to eight months in advance as it is on the first come first serve basis. There are a few formalities, witnesses etc (especially if you are NRI/ foreigner) It was a learning experience for us, we had booked the gurudwara with Parnath and her mother at the recce trip. However, when we visited again to pay the advance we were refused at the last minute. Not wasting another moment, we visited a few gurudwaras, arranged for the local known witnesses and got everything finalized. 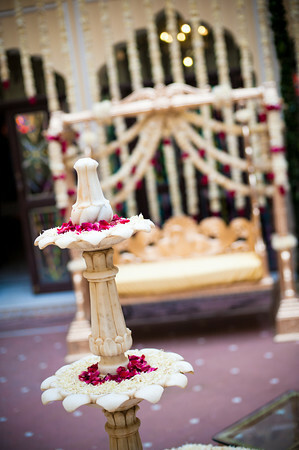 We were really pleased with our choice of gurudwara in terms of location, ambience and the food. Bride and groom wanted the farewell to have some panache, so what better way to do it than a vintage car. 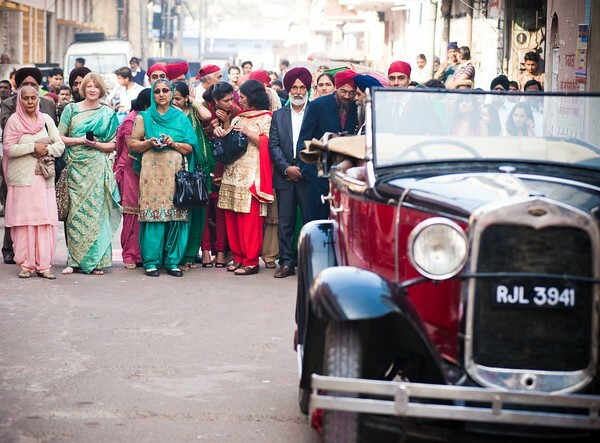 They left from the gurudwara for the Taj Jai Mahal in open vintage car. 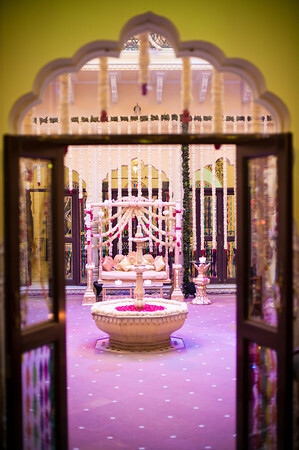 The Taj Jai Mahal hotel is a heritage hotel steeped in history giving its guest a flavor of the rich tradition and culture with acres of lush mughal gardens ideal for a wedding reception. 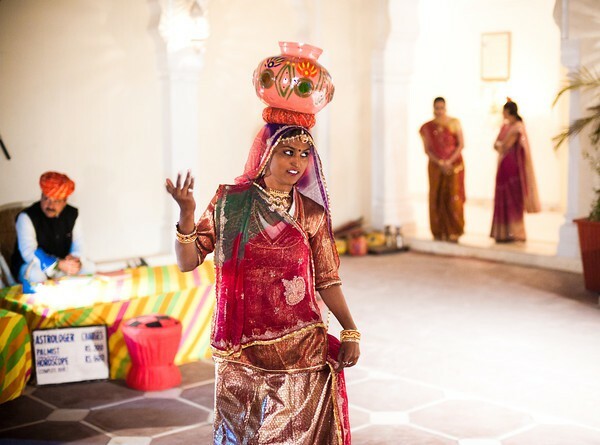 We arranged for the reception dinner outdoors in front Baradri lawns and drinks and dance party inside the small banquet hall. Jai Mahal also organizes a small vintage shop at night outside their daily café which was a real crowd puller. 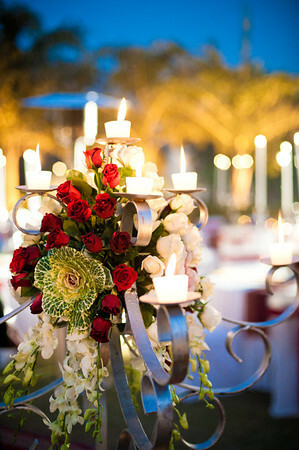 It was a cute surprise for the guests. 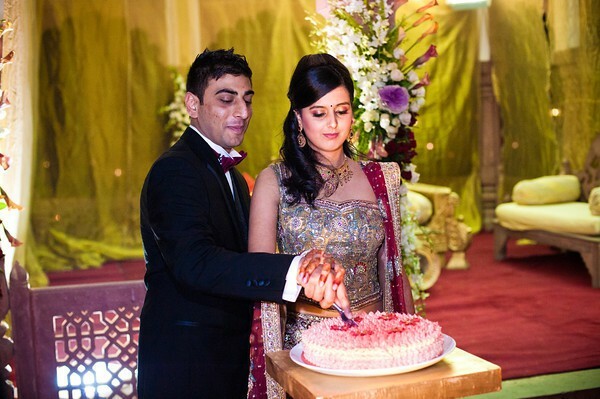 There was then the cake cutting and the first dance as a couple. Sam who also writes, had composed a beautiful poem for Parnath. He recited it during his speech; it was such an awwww moment. 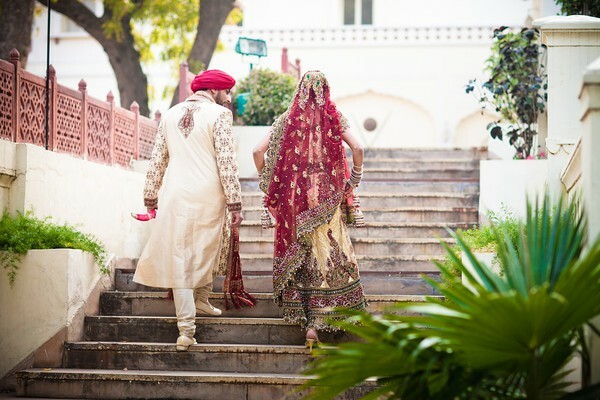 They wanted to get married in the city of love so it just had to Jaipur!